The answer is because without that voice, and without that visibility, we are not only saying this is how things are, we are saying that we are fine with that. And leaders see exactly what we are fine with, and they act accordingly. 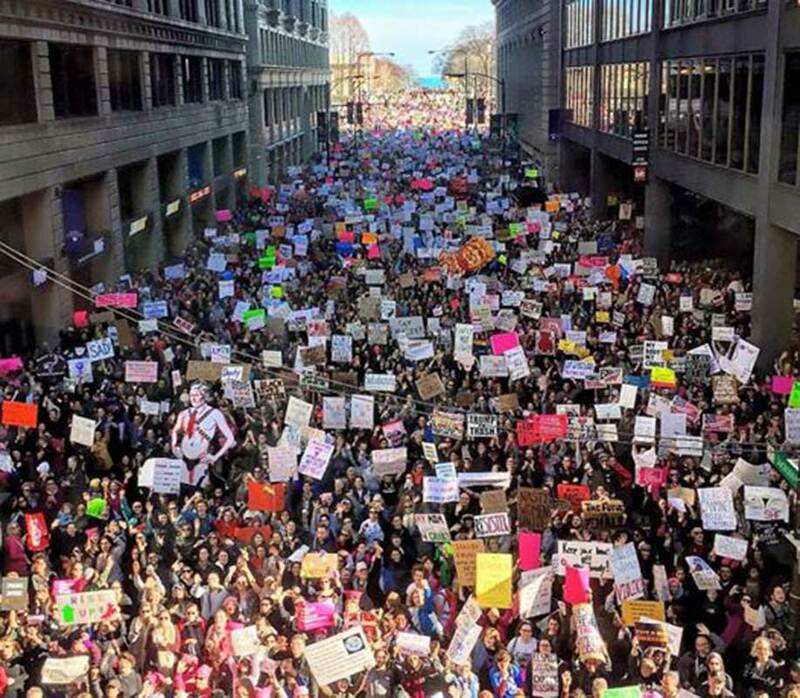 The thing is, there weren’t just women in the streets last year. 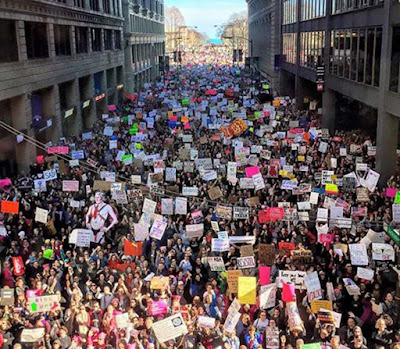 The individuals carrying signs, shouting chants, and marching down Wabash were women, men, and gender non-conforming people, making themselves seen and heard, grabbing the nation’s attention, and uniting groups in ways they had not been before. I urge you on Saturday, January 20th, to make your presence known. Make your voice heard, even if it’s one of thousands. Without your voice, we will be quieter. With it, we will be louder, stronger, and more capable of carrying forward the message that this is not normal, this is not who we are as a nation, or as citizens of this world, and we are on a path to making things right, one step at a time. I am so proud to have a friend who works hard to advocate for the marginalized. Love you! Great post, Alice. While I can't participate in the Big One, I will try to find someplace local where I can show up and hopefully matter. We're having a first anniversary event for our weekly demonstration on the public square of my small town, with the theme "reform congress," holding signs addressed to our so-called "representative" who has agreed to a meeting with us only once during the last year.